I had two blasts of great news last week, and I hope you'll forgive me for combining the public with the personal this once. Kinda of like combining the chocolate with the peanut butter! Let's see if I can create a tasty, fun treat! First off, the personal. 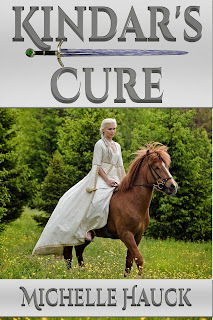 My publisher, Divertir, agreed to lower the price of the ebook of Kindar's Cure during the holidays to make it more affordable to gift! It's now under five dollars! Second news, Amy Trueblood and I got so much agent interest in our query contest Sun versus Snow that we were able to announce it early! See the announcement here. Here's the treat! Now two such exciting and fun things have to be swirled together to benefit everyone! Which is why I'm offering a FREE PASS into Sun versus Snow! That's correct! A FREE PASS. This means your query and first pages will go directly into my fifteen SNOW picks. You will NOT have to go through the submission process. You will NOT have to be in the slush pile. Your query + first page will be seen by both mentors and agents! Nightmare Query got over 80 requests spread among thirty entries. And many entrants in Query Kombat improved their queries and pages enough from mentors' advice to get an agent on their own. This opportunity starts now and runs through January 6th, 2014. (2014! I can't believe it's here.) There will be one grand winner. One runner up will receive a private query + first page critique to help in contests or with querying. Wishing you good luck and happy Holidays! I had such a positive experience with Nightmare on Query Street! I really look forward to this contest. I'm hoping that it's lineup of agents is different enough from NOQS for me to feel just in giving it a go! Oh, and the reason I like snow is because of the way it makes my kids' faces light up. Nothing makes me happier than their happiness! Super excited! Thank you so much for doing this. I love watching snow flurries fall, especially at night. It makes the world seem so magical. I got some great feedback from Pitch Wars. I can't wait to see how much it helps here! 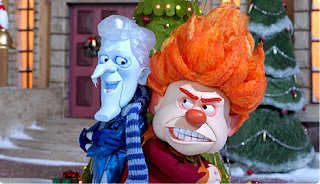 I live somewhere without snow, so I think I just imagine it being the end all of Holiday fun. Someday I'll get a white Christmas! Loved NOQS, such a fun contest! Can't wait to enter this one too! I like snow because of how much my son likes to play in it! Australia here, representing a little of the sun...when this rainstorm lifts! Sounds like a great contest - thank you!! Good luck to all the entrants! Thank you for this fantastic opportunity, Michelle and Amy; January can't come soon enough for me! Woohoo! I'm usually not a fan of the cold, but this contest is making me one. Bye Pitch Wars, Hello Sun vs. Snow! Thank you! Thanks for this contest! Just what I needed, when I needed it! Also, I love snow because otherwise winter would be so boring and ugly. I'm from northeast Indiana and we get so much less snow in Cincinnati that I miss it! WOOT! This contest is just what we needed after PitchWars. Thank you guys for putting this on! I love snow because it's pretty to look at and if there's enough, sometimes, it means I don't have to leave the house all day. It's also adorable when my puppy, a Bichon Frise, tries to go hopping around in piles of it only to disappear because the pile is bigger than he is. (Don't worry, I always get him out again). I've never entered a pitch contest, but this might be my first one. So excited! Snow = snow days = lounging in bed and reading good books. I love snow because of snow days!!! Nightmare on Query Street was such a blast I'm ready for SUN VS SNOW! I suspect I like snow because I've only ever experienced it in small doses. It doesn't snow where I live, but I've visited the snow a few times and it's so beautiful. Snow is the best! I just moved to California from NY and I'm missing some really nice snowfalls - it's making me very homesick! I like snow because it reminds me of Christmas! Thanks for doing this! I can't wait! And winter = snow always!!! I love snow on tree branches. So pretty. Snow equals adults can act like children. Sledding, forts, oh what fun it is with snow! What a great contest! Go snow! So much love of snow! Right now I'm enjoying a day off work thanks to the extreme cold! Yay winter! Thanks to everyone who has entered and visited. Stay warm. I love snow because it reminds me of the joy of childhood of getting out of school for a "snow" day and then playing out in it. I love now seeing the look of wonder in my young children's eyes. Snow is pretty as long as I don't have to get in it. Florida girl speaking here. 527 entries for just a free pass? WOW!! This contest is going to break records. Snow is cool, as long as it's able to be made into snowballs and doesn't melt in your socks. I say this as a person who lives up north. I love watching the falling snow from inside. It's so pretty and peaceful. But I dislike driving in it and that's why I moved three thousand miles to California from the midwest recently. No more winter snow. Although, I do miss it this time of year. We are in the middle of a snowstorm RIGHT NOW and it's gorgeous! I love how it looks, and I love the snuggly feeling of being in our cozy house when it's all white outside. Yay! Thanks for putting on such an awesome contest! Yet another sweet contest. Living in Kansas is truly like watching a battle of Sun vs Snow. The morning can start out a blizzard, and by the end of the day you're in flip flops. Snow is soft and beautiful. I don't mind the cold (much better than high heat for me) and the world becomes quieter during snow storms. I love snow because it reminds me of my childhood when I would play outside for hours making snow angels and snowmen without a care in the world. I've spent half my life in sunny AZ and the other half in the snowy midwest-definitely love snow best, at least until February or March. ;-) Sounds like a fun contest! My three brothers and I every year used to make a snow hut, then sleep in it overnight. We heard plenty of warning from our parents of kids getting trapped and dying in collapsed snow huts. This only made it more fun. :) I miss those times and still think to myself every time it snows "I wonder if this would be an ideal snow for a hut?" I think I have no greater memories than Heat Miser Snow Miser growing up-and it helps writers! As a child, I loved leaving messages in the snow. "Santa, stop here!" I love snow because I grew up in MA and snowstorms were exciting! No school. Beautiful scenery. Sledding. Also there's something about an evening walk in the snow. The whole world seems to be holding it's breathe. There is peace in it. I love snow because I don't live in it anymore!!! LOL ;D Thanks for the contest. I moved from North Dakota to California almost two years ago. We only have snow in the mountains-- and I really don't miss it or the cold. Maybe one day and I can always visit. To be honest, about the only time I like snow is when I'm inside a warm room (preferably with a roaring fire in an open hearth) looking out the window at a snow-covered landscape. Otherwise, I could do without! Thanks for sponsering the contest. Who can't use query help? I'm a sun worshipper. I live in the Mojave desert. Last week we had more than 6 inches of snow and single digit temperatures so I'm totally behind the sun. Doing some additional spit-shining and hoping to bring my boys to this contest =). Live in the land of snow but dream of living int he land of sun! At least the sun is shining today...and the snow melted a smidge. Great contest - thank you for organizing it. I always know when it has snowed because of the brightness behind the curtains and the silence that reigns. So peaceful - that's why I love it. Mind you, I also love the crunch it makes when I walk in it. Down here in the South, it rarely snows. I long for it! Thanks for sponsoring this contest. Looking forward to seeing all the winning entries! I am excited to enter a query contest, and you gals look like a lot of fun! I like snow because I can make snowmen! Especially this week at my house. We're buried in it! Thanks for hosting this great opportunity for writers! I love snow because it makes the world quiet for a while. I can't say I'm a fan of snow mostly because I hate the cold. However throwing a snowball at my husband is pretty fun! Snow means sledging instead of going to work. I like snow when I can sit on my couch curled in a blanket with a cup of hot chocolate and watch it fall outside my window. I love the quiet of the forest in the morning after a fresh fall of snow. I'm lucky - leaving Colorado snow on Christmas morning to fly to California sunshine! Best of both in the same day! Thanks so much for holding this! Such a cool themed contest and I can't wait to here what the question we have to answer is.... I love answering questions in my character's voice! Oh, and I love snow because I live in the sun and it has only snowed twice in my life (that I was old enough to remember). For me, getting snow would mean it's finally not incredibly hot out and I might have an actual winter! I live in Arizona but was raised in Minnesota -- and I MISS the snow!!! I love the way the air smells right before it snows - wild and lonely and sweet. I Live In New Orleans, So We Only Get A Light Dusting Of Snow Every Five Years Or So. Just Enough To Be Pretty But It Snowed For My Oldest Daughters First Xmas And It Was Awesome. All our snow melted, but I have high hopes of fresh white stuff this week. You guys are making me anxious for it! My husband and I run a bread route---nothing sales bread like a snow scare. I like snow because my kids like it. I love to see their excitement when they play in it. So glad you've put in the work to make this contest happen, how a awesome of you!!! So cool of you to put in the work for this contest, thank you!! I love snow because it's magical and inspiring. Nothing like cozying up next to a fire and looking out the window and freshly falling snow! Sounds like fun! But I would pick snow over sun anyday. Cute boots and hats, that brisk air filling your lungs. And my Siberian Husky gets excited and ready to pull me in a sled or skijoring! I love curling up with a book and a Hot Toddy next to a roaring fire, while outside my door the world is awash in glittering white. I like snow because it's fun to throw snowballs at people! I love snow for the way it sparkles, crisp and bright, under a clear blue Colorado sky.